Most of us have thought of running away to live in the forest at one point or another, but actually making that a reality is an entirely different story. You might not be able to escape the 9 to 5 lifestyle, but it doesn't hurt to dream! Let your imagination run wild, and picture yourself living in one of these cozy cottages deep in the woods. You might even be able to bring a little piece of forest living to your local neighborhood - some of these designs would work just as well in suburbia. 1. 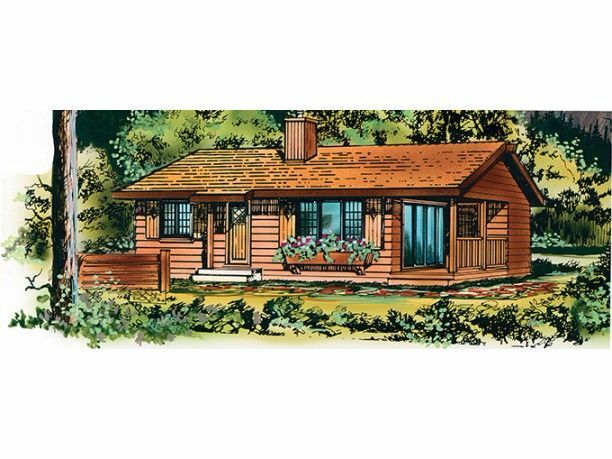 Charming cottage with log siding from Architectural Designs. Coming in at a tiny 324 square feet (30 square meters), this home from Architectural Designs is everything a cozy cottage should be. Enter the home through either the door in the garage or the door on the large side deck; both open into the dining area. 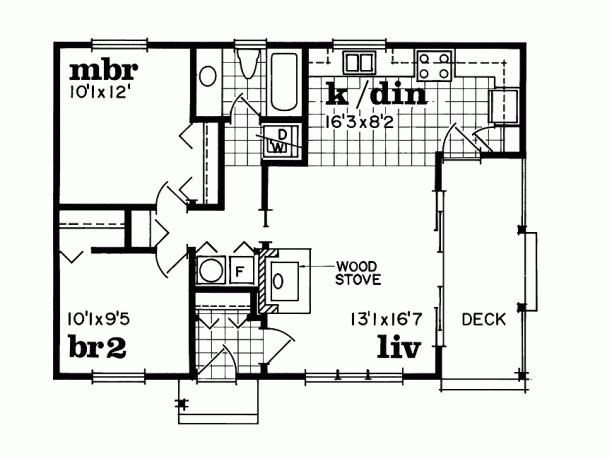 Directly behind the dining area, you will find an L-shaped kitchen and a sitting area. A large window floods this room with natural light. The bedroom and bathroom are located at the back of the home. 2. 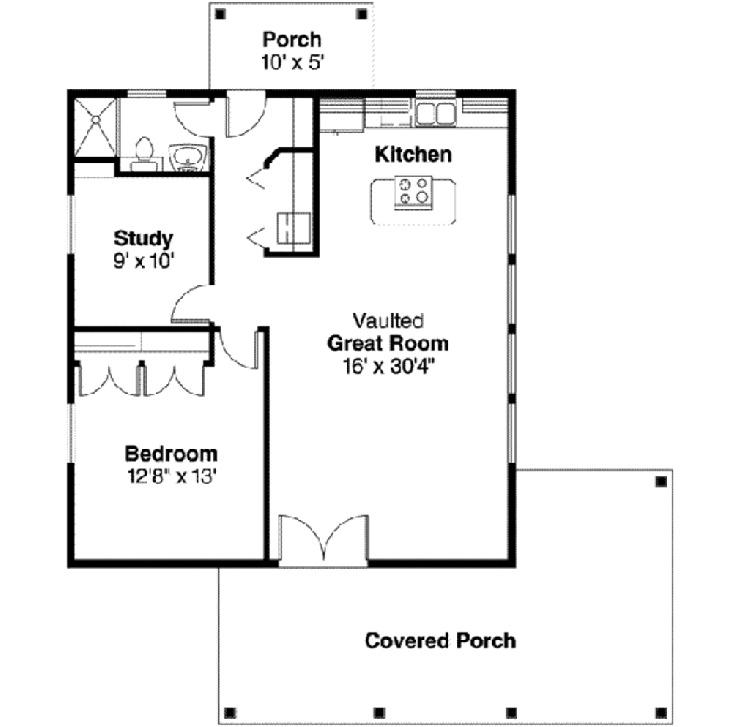 Two-bedroom home with craftsman detailing from ePlans. 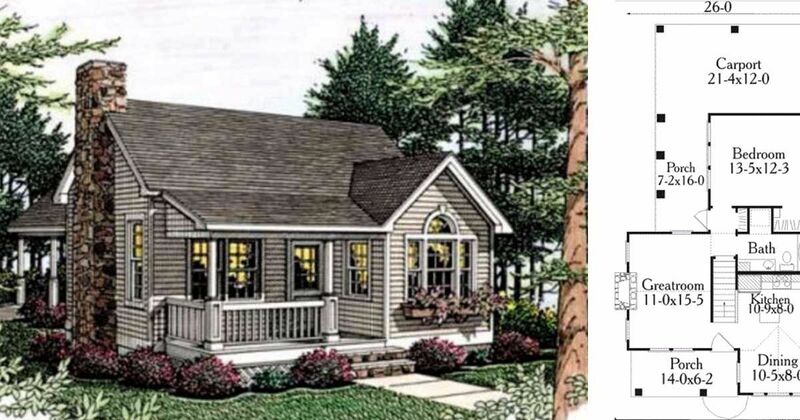 This two bedroom design from ePlans measures 874 square feet (81 square meters), and features charming craftsman details like intricate knee braces and paned windows. 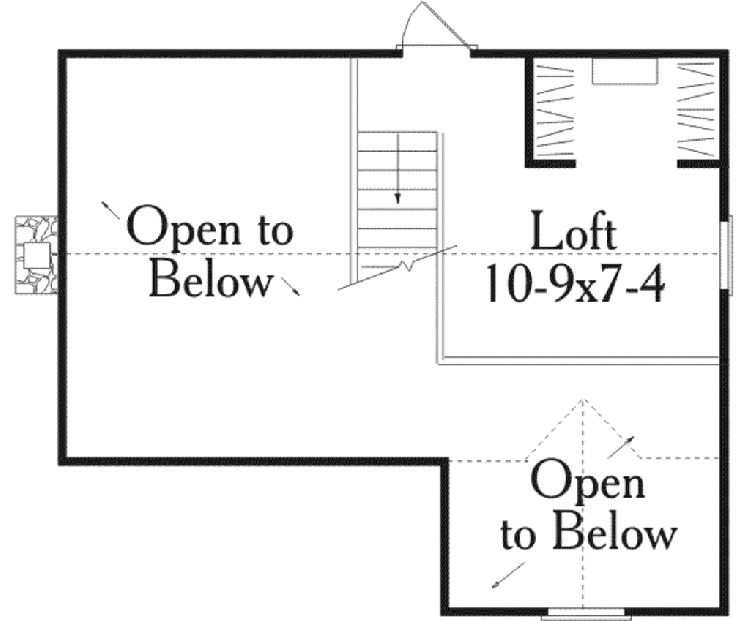 The front door opens directly into the eat-in kitchen, which is designed in an efficient L-shape with a table in the middle. A wood burning stove separates the kitchen from the living room, which is illuminated by natural light streaming in through a large bay window. 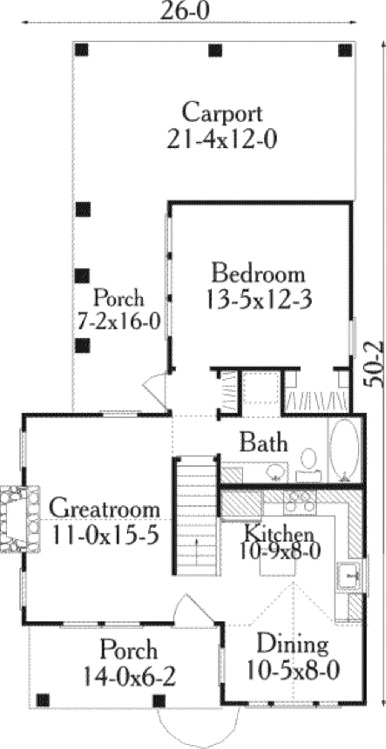 Two bedrooms, a mudroom, and a bathroom with a tub are located at the back of the home. 3. 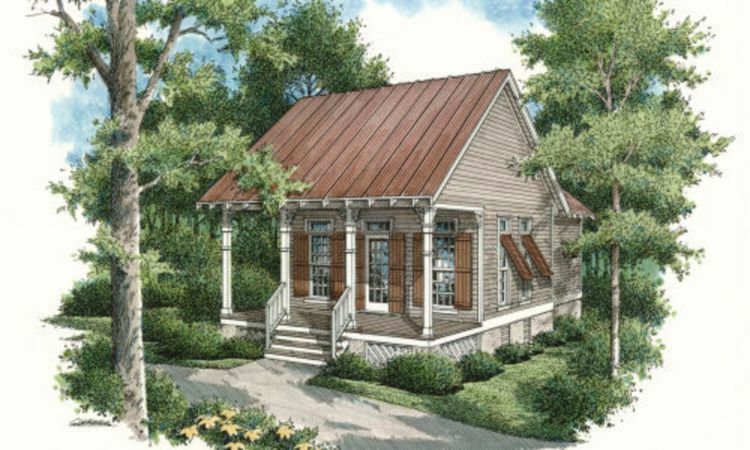 Tiny cottage with plenty of windows from Houseplans. 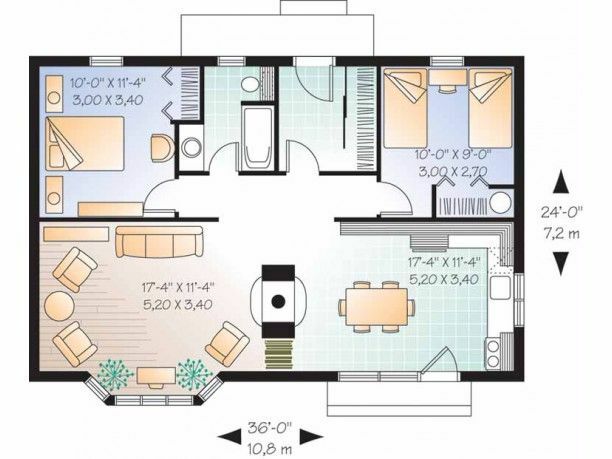 This lovely one bedroom design from Houseplans comes in at 569 square feet (53 square meters) and is divided into two distinct living areas. An open concept kitchen, living room, and dining room takes up the front of the home; the kitchen area is on the left-hand side. The bedroom is at the back of the home, and you pass by the bathroom and the laundry closet to get there. 4. 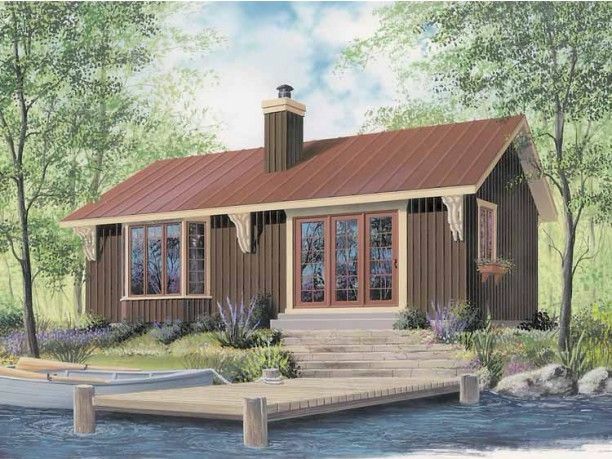 Two bedroom cottage with wood stove from ePlans. At 839 square feet (78 square meters), this two bedroom design from ePlans might just be the perfect forest escape for a family. A small foyer with a closet welcomes you into the home, and the cozy living room with a wood stove is off to the right. Here, sliding glass doors open onto the deck outside. A country style eat-in kitchen is located at the back of the home. The hallway on the left leads to two bedrooms, a laundry closet, and a bathroom with a tub. 5. 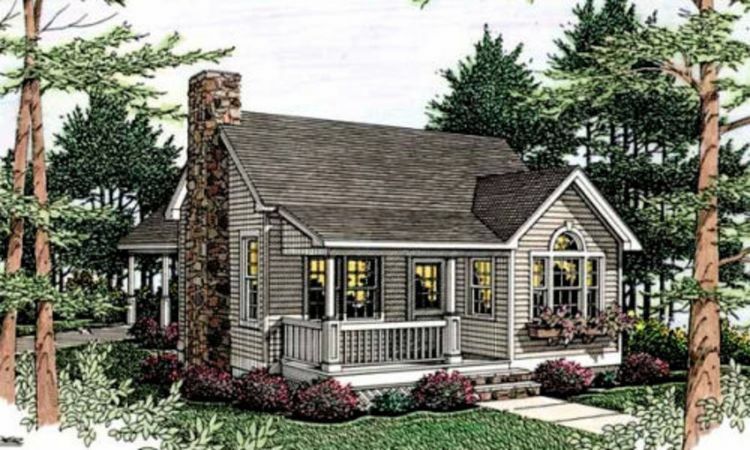 Rustic home with large porch from Houseplans. Coming in at a relatively spacious 960 square feet (89 square meters), this design from Houseplans looks quite simple from the exterior but has some surprisingly nice touches inside. 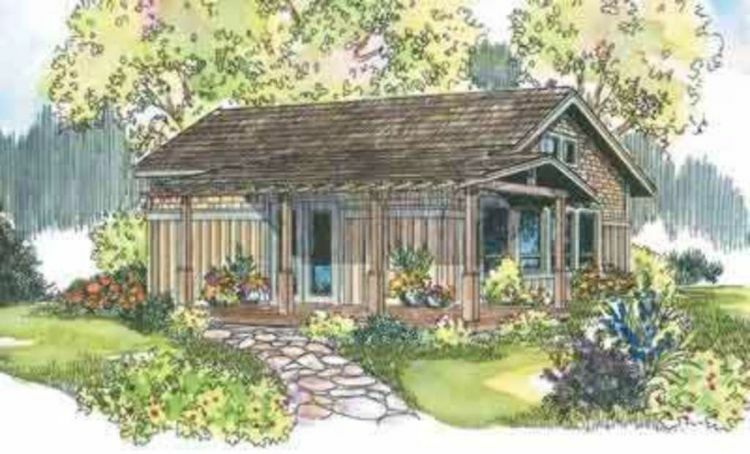 The large covered porch is the perfect place to get some fresh air, and a set of double doors open into the main living area. Here, vaulted ceilings give a feeling of spaciousness, and a kitchen with an island is located at the back of the room. 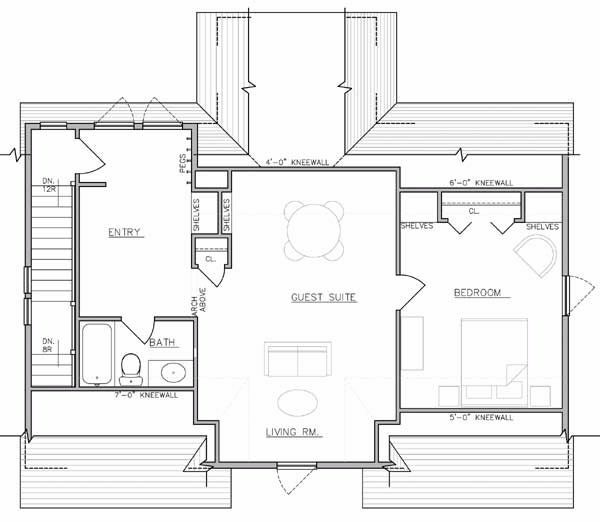 A short hallway just off the great room leads to a bedroom, a study, and a bathroom with a shower. 6. 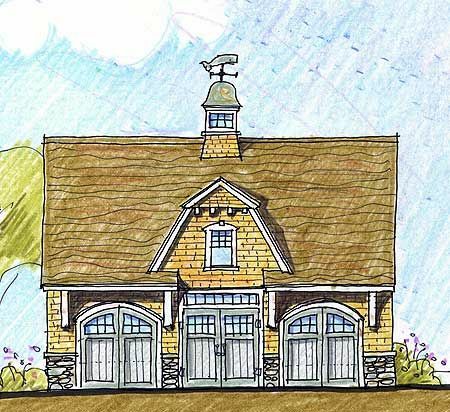 Simple carriage home from Architectural Designs. Measuring 710 square feet (66 square meters), this home from Architectural Designs is located over a three-car garage with a built-in work bench. 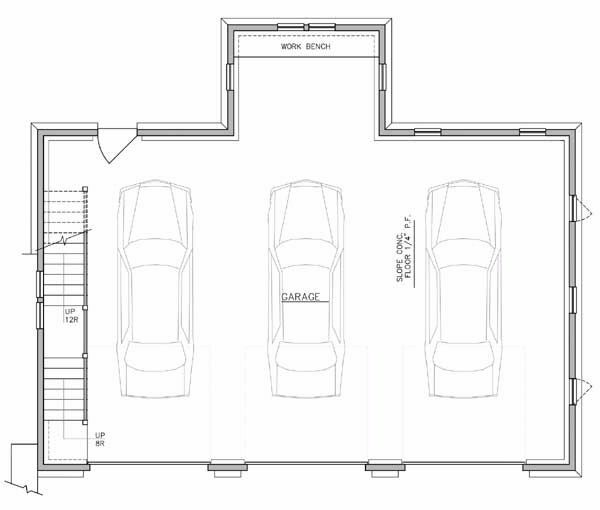 A flight of stairs on the left lead up to a large entryway, which provides access to a bathroom with a tub. Pass through a small archway, and you'll find yourself in the home's main living area. This room features a pantry, some built-in shelving, and a large window. The bedroom is off to the left, and it boasts more built-in shelving as well as a large closet. 7. 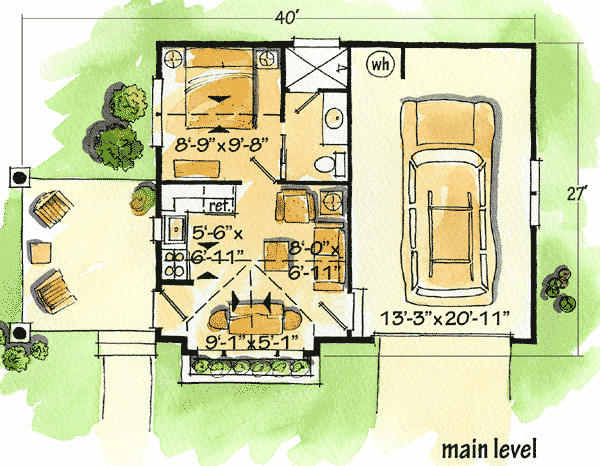 Classic design with loft from Houseplans. 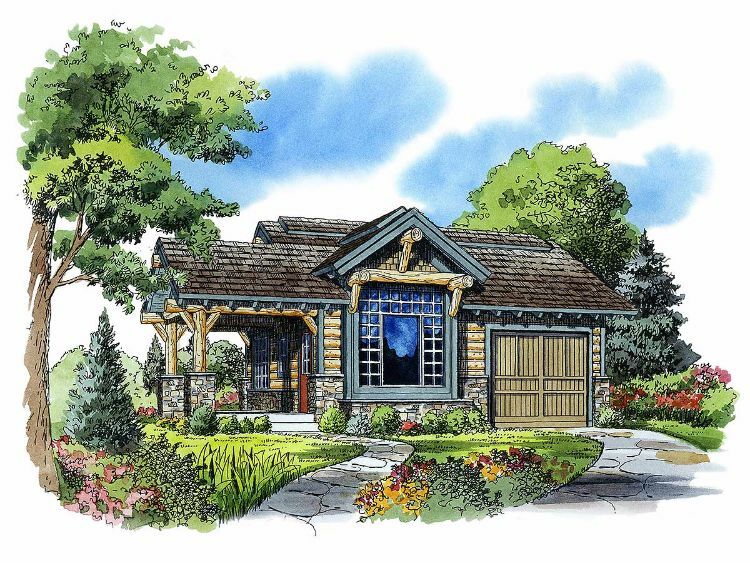 This lovely design from Houseplans comes in at 852 square feet (79 square meters), and it features a perfect stone chimney on the left-hand side. A door under the covered front porch opens into a small entryway, with the great room on the left and the L-shaped kitchen on the right. The dining room is tucked away in a well-lit nook right in front of the kitchen, and the bedroom and bathroom are at the back of the home. A staircase directly in front of the front door leads to the loft upstairs, which has a large walk-in closet.